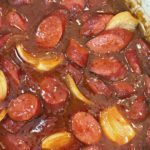 Smokey, beefy kielbasa and tender onions simmered in a rich, tangy barbecue sauce is a dish that I serve right out of the pot! All you need is a skewer and you are in business. 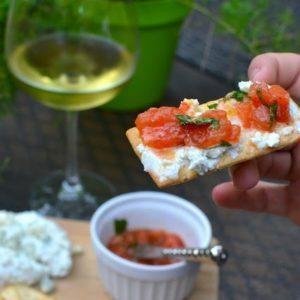 If you need a hearty appetizer that’s easy to make, then this recipe is for you. 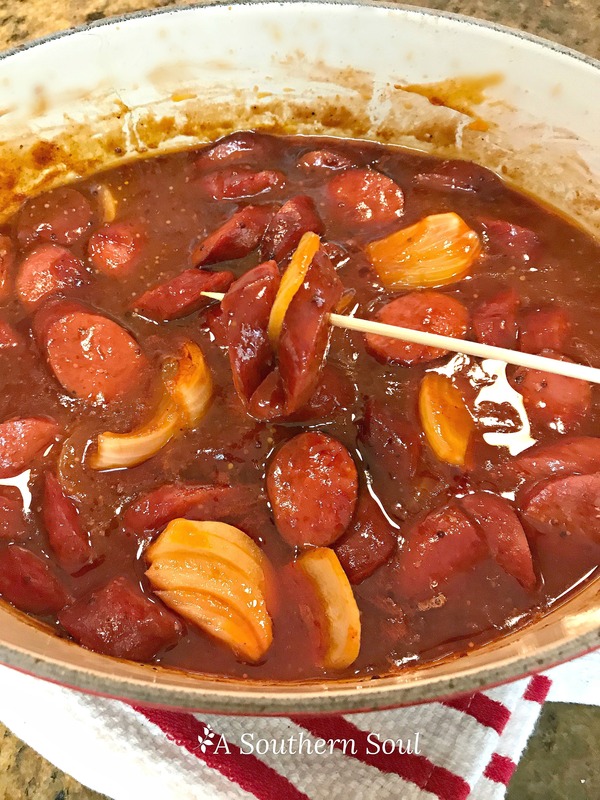 Smokey kielbasa & onions cooked together in a tangy, sweet BBQ sauce that makes a great appetizer or game day or an easy snack for busy families. 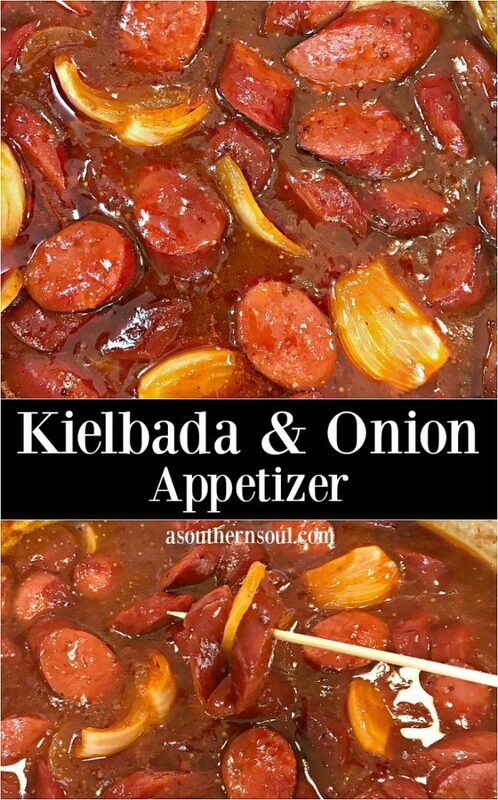 Place kielbasa and onions in a cast iron or heavy bottom pot. Pour BBQ mixture over and mix. 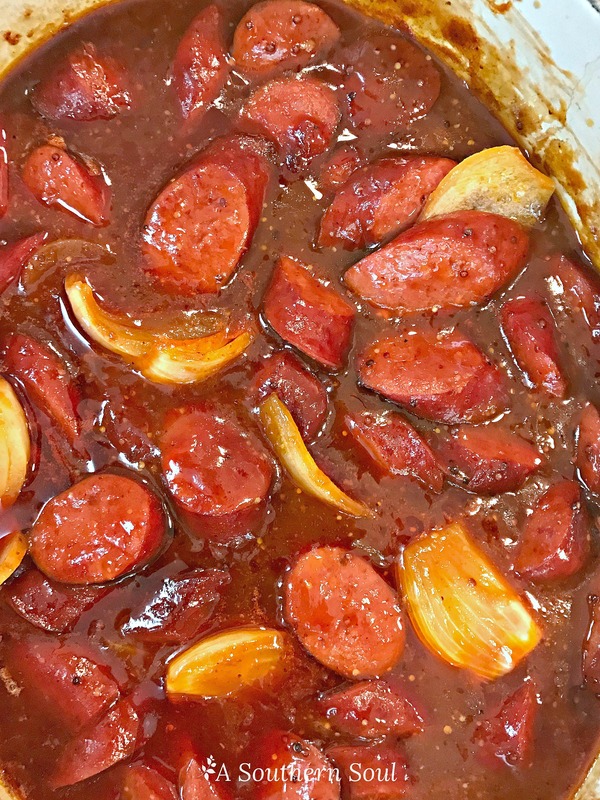 Cook over medium high heat until sauce is thickened, about 15 minutes. 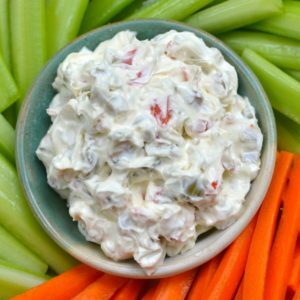 Serve with wooden skewers or on a plate. ENJOY! This sounds really good. 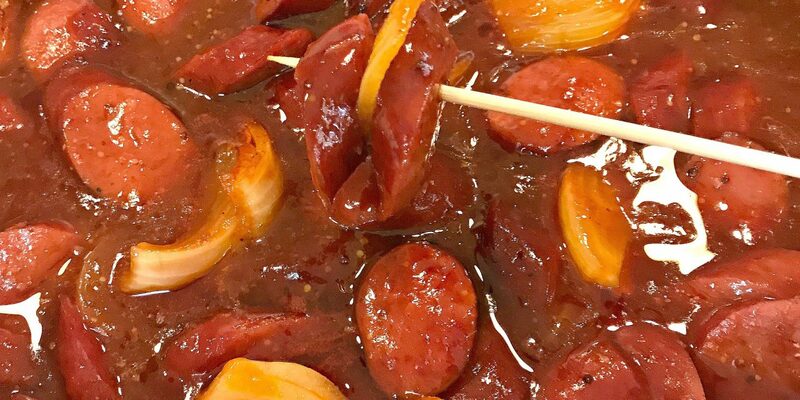 Do you use 14 oz sausages? Good question Lee Ann. Yes, that’s what I used. 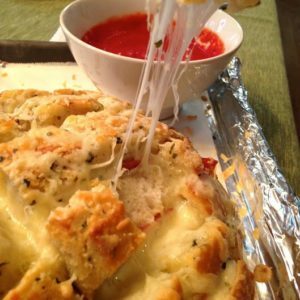 It’s really yummy! This looks amazing! 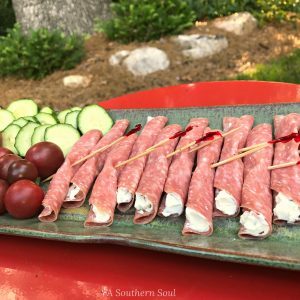 I have done a similar appetizer to this, but I LOVE the idea of using a skewer with it! I am definitely going to try that next time. 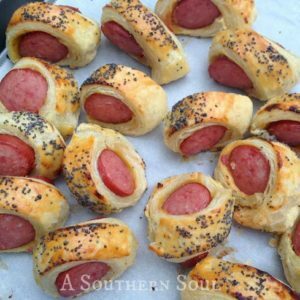 This would go great with a cheddar beer bread and some jalapeno poppers for game day! Thanks Catherine! This was a spur of the moment dish and it was awesome. Crazy how that happens sometime. 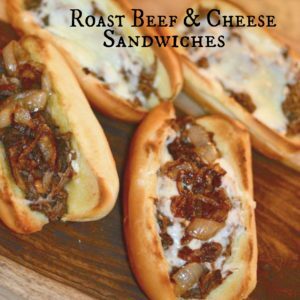 I love your menu line-up! That sounds like my kind of party.